Here you will find a selection of great gardening crafts for kids. Your kids will get a lot of enjoyment as well as plenty of learning experiences. You will find these activities easy to achieve with your kids. Indoors or outside your kids can delve into these great gardening crafts for kids. Your children will be inspired to do these great gardening projects. They are really useful for us homeschooling mums. You will need: paint brushes, paint (various colors), paper and leaves, pot of clean water. 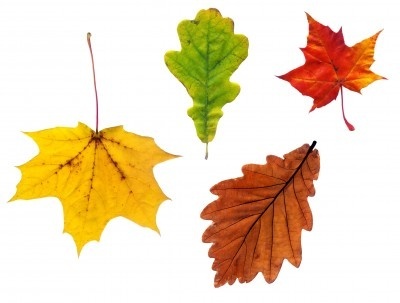 Get your kids to go and collect various leaves from your garden. Or go for a walk to the park or woods and collect leaves. Put aprons on kids to protect clothes. Put paper down to protect table. Let kids take a brush and dip into paint. They should paint the back of the leaves. Get children to take painted leaf and press paint side down onto paper. They can make a picture using the different leaves and colors of paint. This can also be used to keep a record of leaves in your garden. For a first go, you may want to leave out the fixative and oils. You will need: A fixative (to help seal the scent), oils(geranium, lemon lavender,apple cinnamon),spices (cinnamon,nutmeg, cardamon) fruits(apple slices, orange peel), herbs and or flowers, leaves, bark, berries. You can use whatever you like of the above. As kids to go into garden and pick those items from above list to dry. Lay out on trays or put stems into bunches, tie and hang in a warm dry place.Leave for couple of weeks. (the smell isn't as long lasting). Cut up the Orris root or buy powdered and take 1 tablespoon put into a jar you can reseal. Add a few drops of oil(either 1 oil or up to three different scented oils). Add the spices lightly crushed. Seal jar and shake every so often. Leave for four days then open jar check you like the scent. Add different oils if you need to adjust scent. Take chosen dried items and add roots and scent oils. Mix and put into airtight container. leave for 4 to 6 weeks to cure, shaking container daily. Pour into dish of your choice or use to make sachets, pillows etc. 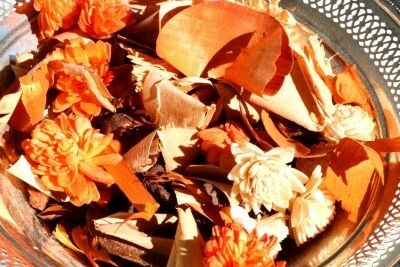 Tip: If your kids enjoy this, dry flowers throughout the summer, you will then have a good amount. Your kids could then make pot pourri to give away at christmas. Take your kids into the garden with a tennis ball size piece of clay each. When they have made their model bring them inside and leave them to dry. Have a snack and drink. Tip:Ask them why they have chosen to model the item they made. The models will be dry after a couple of days. The kids will enjoy painting their models. Tip: Your children may be interested in making a model garden as a gardening project. You will need: Paper, crayons or chalk or pencils or all three. Take kids outside and get them to find lots of different textured items. Place the paper on chosen items and rub with the crayons, chalk or pencils. The children can label each rubbing and note whether rubbed with crayon, chalk or pencil. Tip:Make it a race in time, see who can get the most rubbings, who can make the most interesting rubbing. A great way to use flowers from your garden. You will need: Small flat flowers, leaves. waxed paper, an iron. With your children go around the garden and collect pretty small flat flowers and leaves. Take one piece of waxed paper and get the kids to lay out the leaves and flowers in a pretty design. Lay the another piece of waxed paper over the top. The flowers will be sealed inside. The kids can then cut around the flowers and leaves and then stick them to paper to make a picture. Try these recipes for pot pourri. Experiment and see which scents you like. 1.Rosemary, Pine Needles, Bay Leaves and Violets. 2.Mint, Geranium, lemon Balm, Rose Leaves. 3.Rose Leaves, Marjorum, Thyme, Geraniums. 4.Pine Cones, Basil, Cloves, Cinnamon, Orange Slices. 5.Lavender, Rose Petals, Bay Leaves, Thyme. You will need: an empty milk jug/carton with handle and lid, a nail acrylic paints, brushes. Use nail to punch holes in front at top of bottle. Kids can then decorate bottle with paints. Fill with water and kids can water their plants. Easy gardening crafts for kids such as windmills make a colorful addition to your garden, why not use then in a sensory space. Keep lolly pop sticks to make labels. Keep empty yoghurt pots and margerine tubs for growing seeds in. Cardboard egg boxes are great for planting seeds, then when you need to plant seedlings out simply cut the egg box and plant each individual egg cup in the ground. They are biodegradable. Help the kids to set up a weather station in the garden. They can then record the findings on a graph. They could also create a handmade calender showing the weather for each day of the month. You will need: Egg shells, potting compost, seeds. Boil an egg, cut top off and eat egg, don't crack the shell. Carefully spoon potting compost into shell. Put seeds in then a shallow layer of compost. Spray with water until compost is moist. Place on a warm windowsill. The whole shell can be planted into a container or garden when seedling is big.